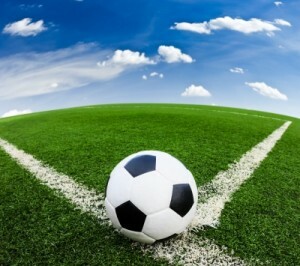 Does Your Small Business Team Resemble a World Cup Roster? High quality talent is an asset all businesses need to seek out because it means that the business can run smoothly and produce the best results possible. Finding top talent and bringing them into the fold can be tricky, unless hiring managers and business owners know the tricks on how to lure winning staff to the business. Think of it like recruiting members for a personal World Cup roster. Only the best of the best are going to be able to make the team work and run efficiently. If someone is not entirely invested in a company’s future then they will more than likely not bring their best game. They will just do the minimum amount of work and may even jump over to another company when a better offer is given. How can a business attract and keep top talent? By being transparent and proud of the company vision, its future and the strategy to get to that end goal. Constantly reminding talent of these key factors means they will be better invested in the company and more willing to go above and beyond with their work. Also they will want to stay on with the company to help it grow as well as achieve better opportunities internally. Searching for and hiring top talent also means finding people who can be team players and work together to the same end goal. But if there is one person in the team who can’t work well with others and prefers to be completely independent, this means the team isn’t going to thrive. Just like a team on the field, if one member decides to do their own thing and go against the playbook, that lets the competing team get an advantage and potentially win. Company culture is important and it may sound like a buzzword that hiring manager’s use, but there is truth behind company culture and finding the right personalities that fit into that certain culture. If a business has a company culture of being hard working and fast paced then the staff needs to reflect that in their own lifestyles and personalities or they are going to flounder at the company. Not only do skills and expertise need to be on the table but so does an attitude of being able to mesh well with the company culture. Miscommunication or not even communicating at all the expectations of the employee is only going to spell trouble, which is why businesses need to make their end goals and expectations very clear right at the start. When everybody is on the page of the playbook real wins can start happening. Building an ace team for any business is no small task but the time and effort is well worth the rewards. Knowing how to build that winning team already makes it so much easier to have the type of skills and expertise to take the company further.